Were you or your child injured by fireworks? Chances are you're not alone. Did you know that 11,400 people were injured in 2013 by legal and illegal Fireworks? In the U.S., from June to July each year, 200 people per day go to the ER with injuries related to fireworks. If you or someone you love have been a victim of injuries from fireworks, you know that your life can change in the blink of an eye. What started out as a day for celebration turned into one filled with fear and injury. Maybe you had to deal with burns or scars. You may have even had an accident with fireworks that caused a house fire. Adults should always supervise fireworks activities. Do not buy fireworks that come in brown paper packaging, because these types of fireworks are often made for professional use and could pose a serious risk to consumers. 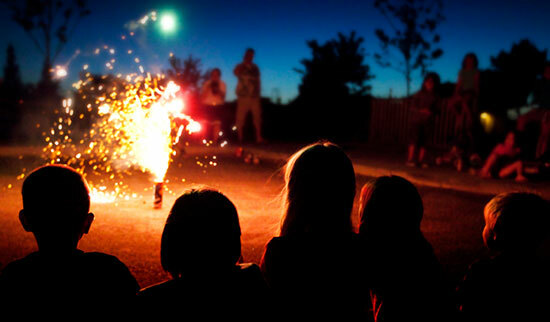 More children under five are injured by sparklers than by any other type of fireworks. Sparklers burn at temperatures of about 2,000 degrees - hot enough to melt some metals. Move back a safe distance immediately after lighting. Keep a bucket of water or a garden hose handy in case of fire or other accident. For more information on firework safety tips, check out our Fireworks Safety infographic. If you or someone you love were injured by fireworks, contact us today for a free legal consultation. There's absolutely no cost, and there's no obligation. We'll tell you if we think you have a case. Call 1-866-943-3427 or fill out our simple form online for your fireworks injury claim. And remember, there's never a fee unless we get money for you – so you have nothing to lose.